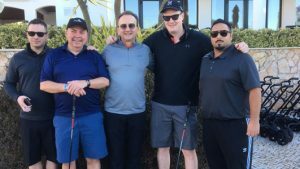 Rising bright and early, teams participating in the inaugural Baxter Media 2019 Portugal Golf Tournament were eager to tee it up for the opening round. 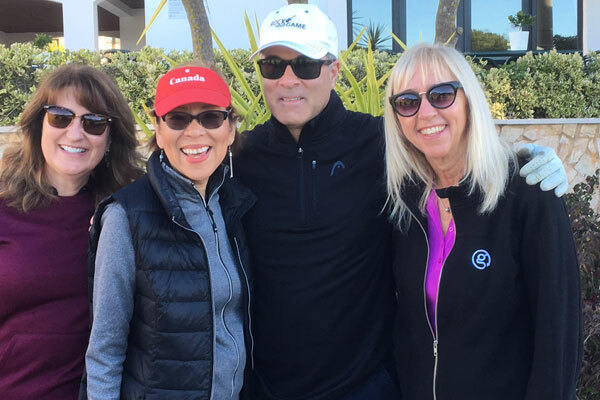 Hosted by Visit Portugal, TAP Airlines (#TapAirPortugal or #PortugalStopover) and the Albufeira Promotion Bureau, the round was played at the immaculate and challenging nine-hole, Sheraton Pine Cliffs Golf Course. 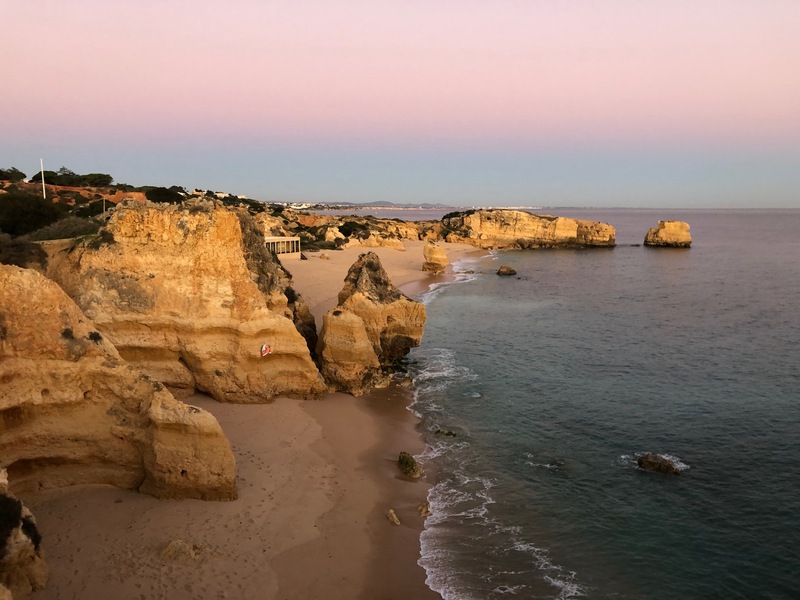 This is one of the Algarve region’s original golf courses, featuring majestic salt pine tree-lined fairways and greens, set on the red-stone sandstone cliffs, offering some stunning views of the turquoise Atlantic. Team 1 – whose members include Christine James, Deana Murphy, Denise Harper and Al Valente – won the first round, with a very solid 3 under par round of 29. 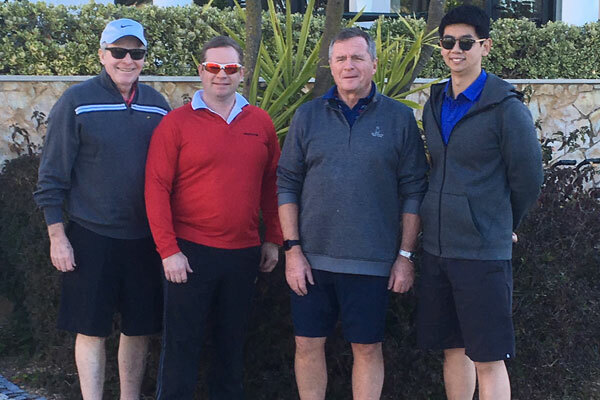 In second place, with a 3 over par round total of 35 was Team 2 – David McClung, Jeff Element, Mike Ching Jor and Rod Thornton. Third place went to the five man, Team 3 – Wolf Paunic, Mitchell McClung, Chris Nowrouzi, Wayne Noseworthy and Antoine Laroche — who scored a 6 over par pound of 38. Following this “get the cobwebs out” opening round, the group enjoyed a special lunch in Vilamoura, at the award-winning D. Jose Hotel Quarteria is one of the Algarve’s oldest and beautiful sea-front hotels. On the menu was a delicious octopus appetizer followed by fresh golden bream. After lunch, the group took advantage of the beautiful weather to stroll along the wide beachside promenade soaking up the warmth of the sun, in the cloudless sky. 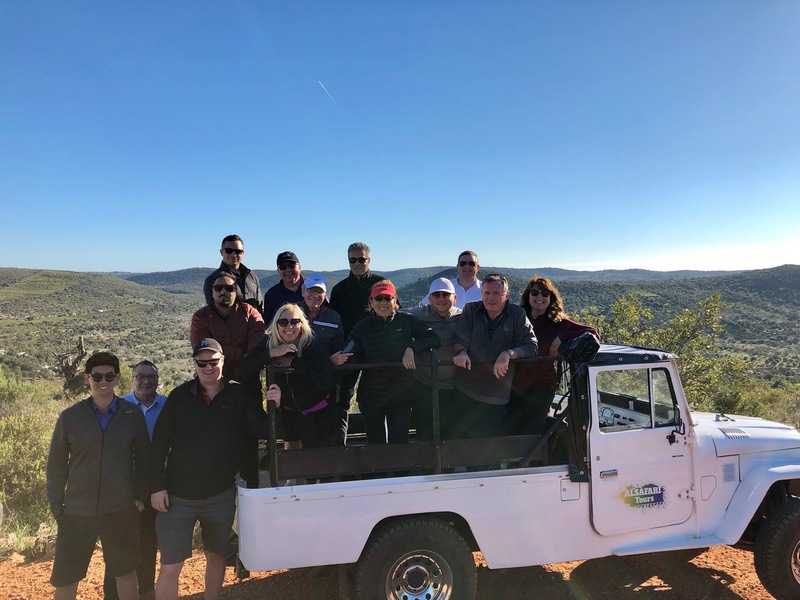 Then it was off via 4x4s for an unforgettable off-road expedition hosted by Alsafari tours to discover the rugged rural Algarve countryside. 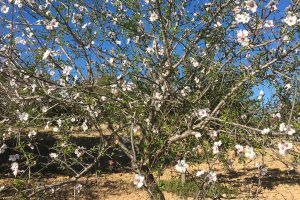 The group took in the tranquil rugged landscapes, filled with orange groves, almond and fig trees, wild herbs and timeless whitewashed Portuguese farmhouses and villages. In the picturesque town of Alteve, everyone had an opportunity to sample some of the Algarve region’s unique gastronomical tastes. These included the region’s local honey, sauces and jellies and the famous Medronho “firewater” drink. 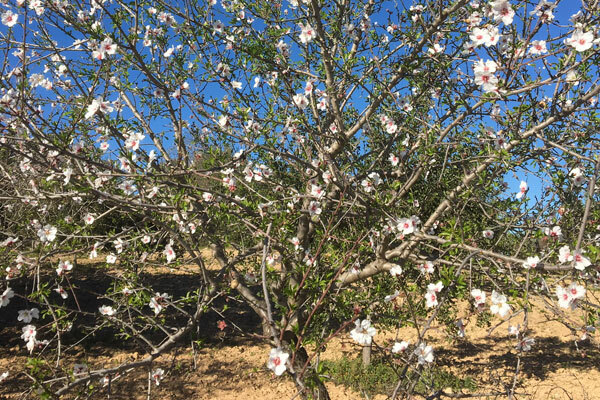 All agreed that it this was a truly brilliant way to discover this very different side of the Algarve. 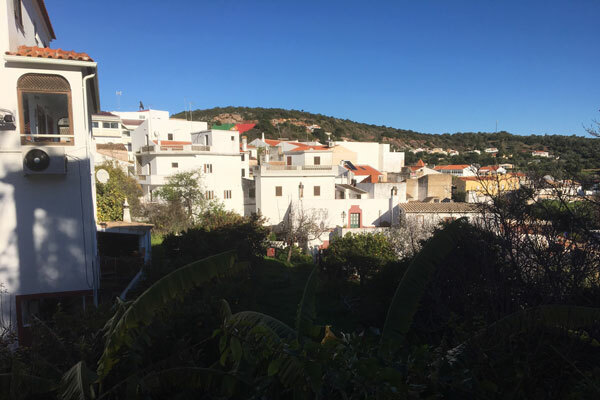 Then after a brief break back at the hotel, it was on to enjoy dinner at the popular Cabana Fresca Restaurant set on Albufeira’s famous “Fisherman’s Beach”. The regional menu featured traditional homemade recipes to expertly prepare their special delicious selection of salted cod and duck dishes, all matched with their excellent selection of local wines and port from their cellar.